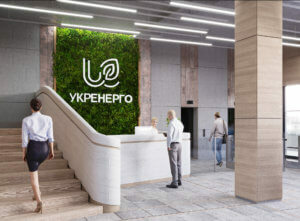 Ukrenergo is preparing a new joint project with the European Bank for Reconstruction and Development (EBRD) “Modernization of Transmission Networks” with an approximate cost of EUR 149 million, the company’s press service has reported. “The goal of the project is the replacement of power equipment, the reconstruction of substations with the introduction of an automated control system for technological processes,” Ukrenergo said. As part of the preparation of the project, representatives of consultancy companies selected by the EBRD, namely Tetra Tech (the United States) and AF-Mercados EMI (Spain) visited ten substations of Ukrenergo (750 kV Zakhidnoukrainska, 400 kV Mukachevo, 330 kV Novovolynsk, 330 kV Hrabiv, 750 kV Donbaska, 330 kV Myrhorod, 330 kV Kupiansk, 330 kV Mykolaivska, 330 kV Trykhaty, and 330 kV Lisova). The consultants should prepare feasibility studies for the reconstruction of the listed substations, and the project is planned to be implemented at the expense of EBRD loan funds until 2021. Modernization of the substations will increase the efficiency and reliability of electricity transmission, will allow to manage the equipment of the substations from the regional centers. Also, its implementation will be the basis for the introduction of a smart grid technology in the framework of the “Second Electricity Transmission Project” implemented by Ukrenergo jointly with the International Bank for Reconstruction and Development (IBRD).